A rise in the number of anaerobic digestion (AD) plants could put food security at risk, a Moray farmer has warned. 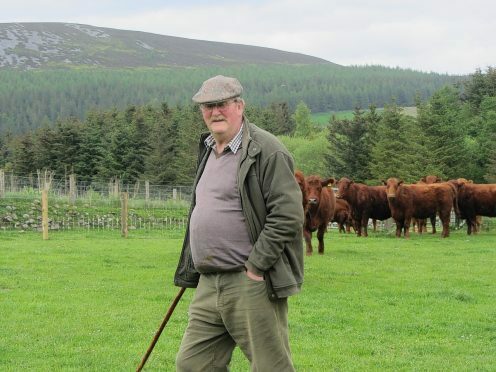 Alastair Nairn, who farms at Clashnoir on the Glenlivet Estate, said taking land out of food production to grow crops for AD plants was a “crazy situation”. Mr Nairn, who is environment spokesman for the Scottish Tenant Farmers’ Association (STFA), has previously spoken out against the use of distillery byproducts in renewable energy plants. According to Mr Nairn, new anaerobic digesters and biomass plants are decimating traditional feed sources for livestock farmers, with draff doubling in price and dark grains needing to be hauled from the central belt to meet demands in the north. He has now reiterated his plea for government to intervene after it emerged 56 new AD plants are in development in Scotland, of which 45 will be “farm-fed”. Speaking at the recent Scottish Agronomy technical conference, Audrey Litterick of Earthcare Technical, said these new plants would require an estimated 18,000 acres of crops. “It’s bound to deplete sources of malting barley. It’s crazy taking land out of food production. I think the Scottish Government does need to step in,” said Mr Nairn. He said there could also be potential problems when it comes to disposing of digestate waste from the AD process. “There’s massive amounts of digestate and they are actually looking for land now to support this,” said Mr Nairn. Mr Nairn said he had spoken to Rural Economy Secretary Fergus Ewing about his concerns and said Mr Ewing had given him assurances that government was looking into the issue.